How can I block specific incoming emails? (mt) Media Temple makes a best effort to ensure the accuracy of all content contained herein. The publishing of this information does not imply support of this article. This article is provided solely as a courtesy to our customers. Please consult our DV Scope of Support for further information. Click on your email address in the list. Then, click on the Spam Filter tab. If you want to change the default settings, click on Show Advanced Settings. 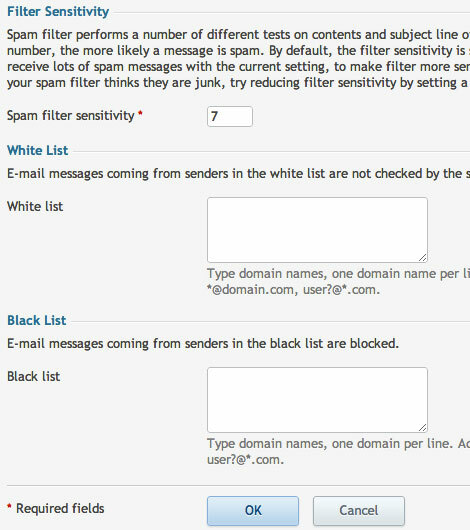 Here, you can change the filter sensitivity, or add email addresses to your White List or Black List. 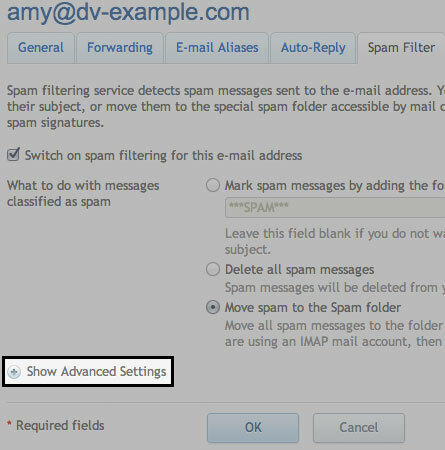 For the sensitivity, a lower number will make the spam filter stricter and a higher number will allow more messages through. Click the OK button to save your settings. 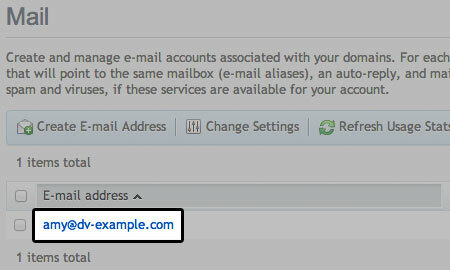 Add each desired email address, server name, or IP on a separate line. Save the file. vi tip: Press "i" to enter "insert mode" so you can type and copy/paste. Press "Esc" to exit "insert mode" when you are done modifying the file. Type ":wq" to save and quit.